There was a lot to look back on in the year that was 2015 so I wanted to share the list of all of my favorites for the year. I am going to break it down by the usual categories. Since this is a site that focus’ mostly on the comics medium I will start with the top comics that came out this year. Let me just say that this has been the year of Rucka. Between Lazarus that has continues to be one of the most interesting and different books in 2015. 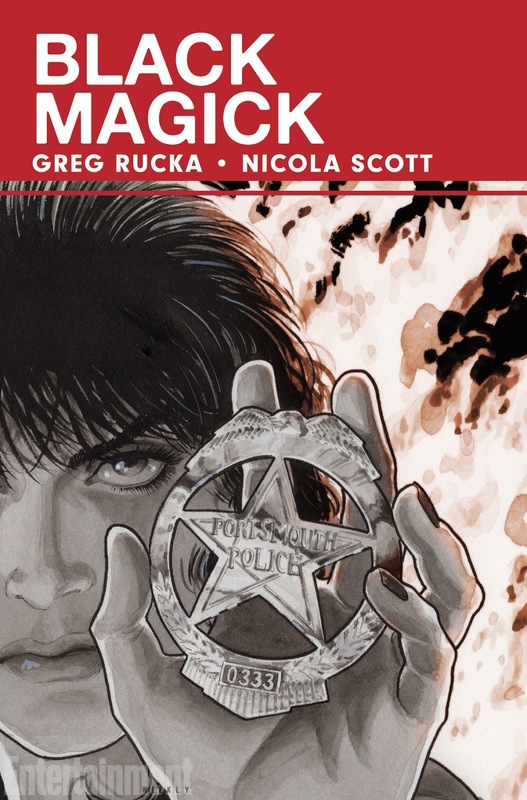 And Black Magick which is the book I never knew I wanted, Greg Rucka has completely owned my 2015 comics wise. Given, with neither book is it only Rucka that makes it amazing. 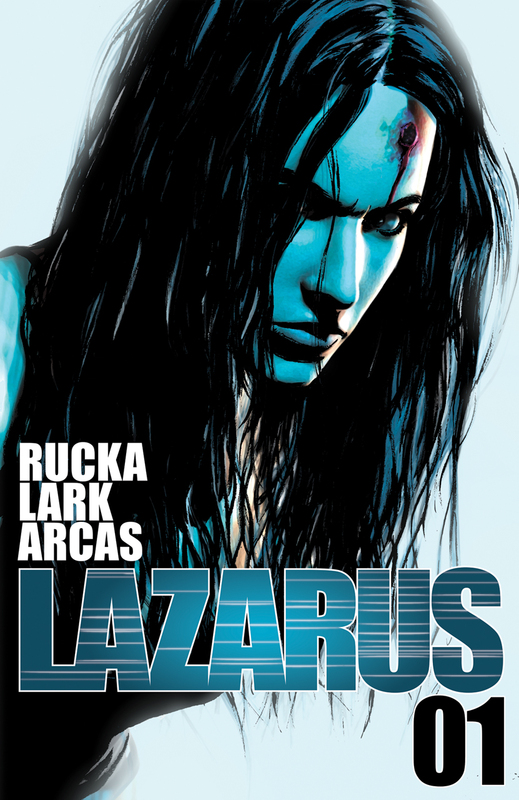 With Lazarus you have Michael Lark bringing the grim and often depressing world that the characters inhabit to life perfectly. And Black Magick features the amazing art of Nicola Scott showing that you don’t need to have all of the flashy colors to make a book look beautiful. When Marvel announced that they were launching a new Dr. Strange title I was interested but figures it was just because they were trying to hype the movie. 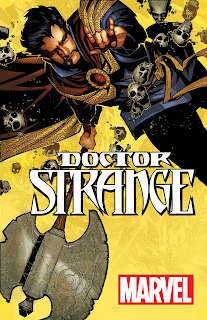 Then I heard it would be written by Jason Aaron with art by Chris Bachalo and I no longer cared what their motivations were, I just wanted to read it for as long as Marvel could keep it running. 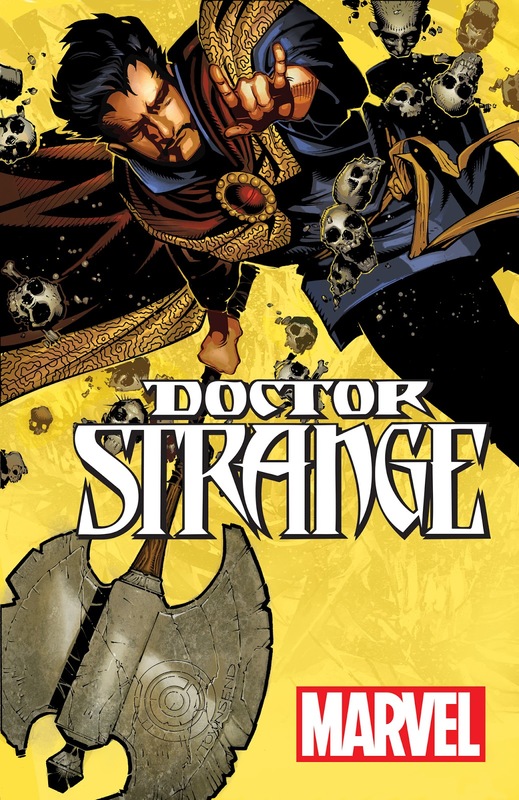 The good news is that the team of Aaron and Bachalo have given new life to the Sorcerer Supreme with a fresh take on his life and sanctum. 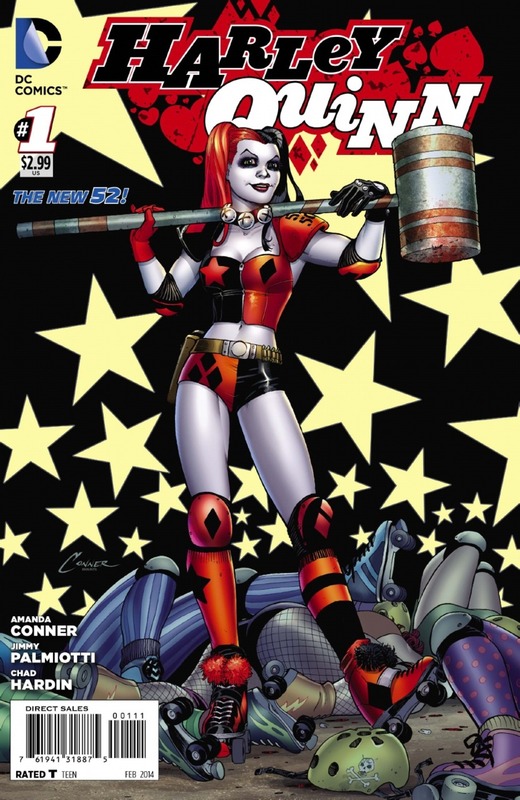 The ongoing shenanigans of Harley Quinn in Coney Island, New York has been the only constant book from DC that I have pulled from Issue 0 till now. I even grabbed all of the specials and annuals that have come out in connection to the series including the spin off book Harley Quinn/Power Girl. The writing team of Amanda Conner and Jimmy Palmiotti combined with the art of Chad Hardin have found the perfect balance between keeping the character true to who she has been up until now and introducing new lore to Harley’s background. 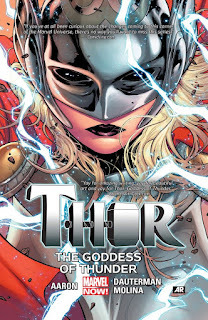 Jason Aaron has been on fire with his run on Thor from the first issue of Thor God of Thunder when Marvel Now first launched, and 2015 was no exception. 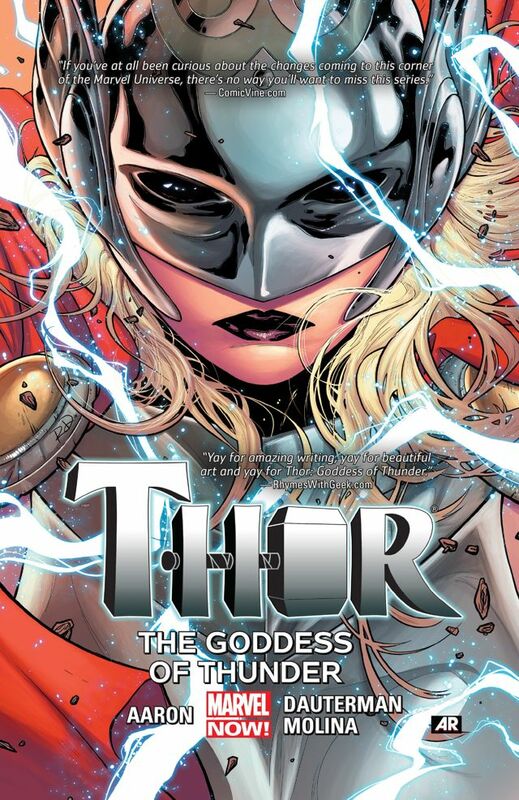 This year Aaron has been joined by Russell Dauterman after a new female Thor was revealed when the original Thor is suddenly unworthy in the aftermath of Original Sin. The small downside to the book was it’s tie-in to Secret Wars that sidetracked the main arc of the book for a few months. But it quickly found it’s feet again quickly after the four issue tie-in wrapped up. In July of 2015 one of my favorite underused characters in the DC Universe finally got his own ongoing series. 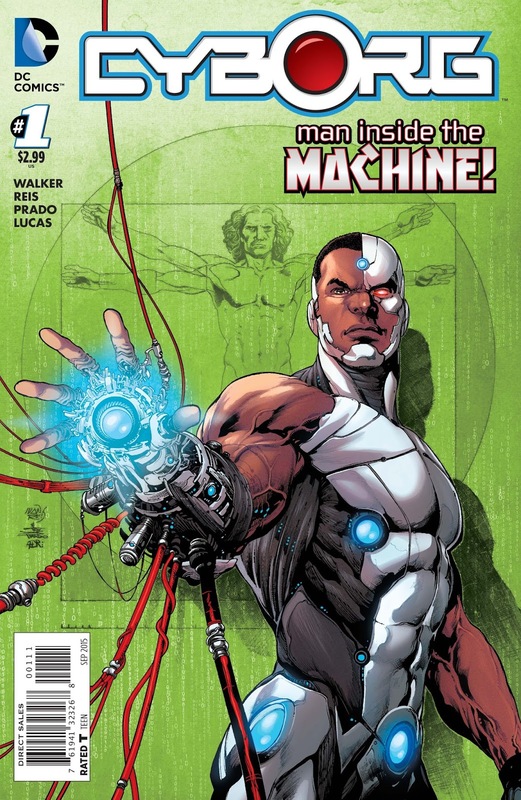 And if you add that David Walker and Ivan Reis were the creative team that were going to make it happen. Walker is a writer I have been keeping an eye on since reading No. 13, the creator owned book he did for Dark Horse. 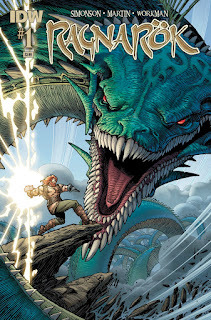 And of course Ivan Reis is still one of the best artists that DC has in their stable. 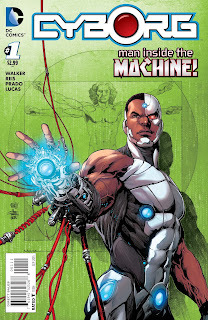 Cyborg gets a slight upgrade to his enhancements in this series but that is the core of the story that Walker and Reis present, because there is a race of beings from another dimension who want Victor Stone and the tech that he now has so they can make themselves perfect. But with the arrival of the Technosapiens also comes an army that has spent their lives fighting an endless war with them who also want to get there hands on Vic. This book was a great surprise to me because I was really worried it was going to be trapped in the same hell as most DC books where they are completely drowned by editorial control. 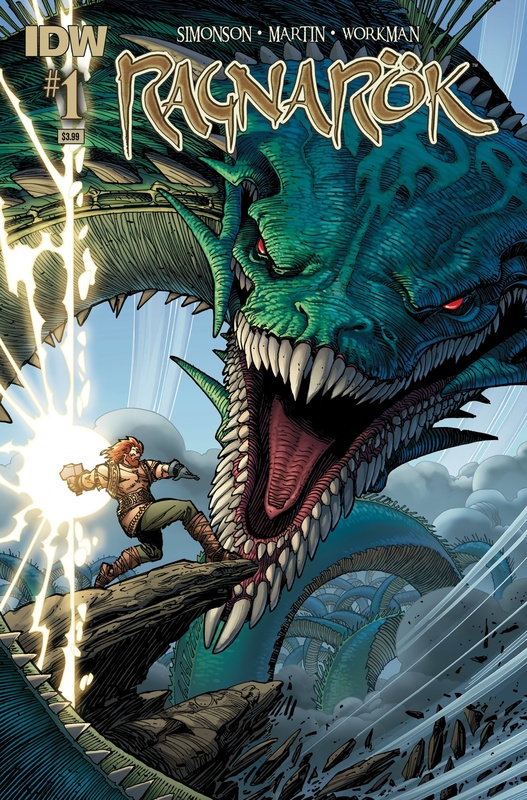 With this IDW title came the return of Walt Simonson to the Asgardian mythos. Sure it isn’t the same Asgard that he was responsible for with Marvel, but it was still a treat to see Simonson writing and drawing a book in such a great universe that he is famous for making so iconic. However unlike his time with Thor, the main focus of Ragnarok is a family of dark elves tasked with a difficult mission in a post Ragnarok world. A mission that leads to the return of the last god of Asgard to make things right. This book is just beautiful to me, but I could understand if a newer comic reader would be put off by the older art style that Simonson uses. 2015 wasn’t a very big year for games in my book. There were a couple of games that I expected to be really good but fell extremely flat in the long run. BUt that doesn’t mean I didn’t find a few gems. Rainbow Six Siege was really the surprise hit of the year to me. I had it pre-ordered because of my love of the Vegas games of the previous console generation, but was still sceptical until the release of the game in December. I wish they would have made a few things differently, but for the most part it is the right balance of challenging and fun. And that is not an easy balance to find in today’s gaming market. After the mess that was Halo: The Master Chief Collection multiplayer I was really happy to find that Halo 5 was back on the right track. I haven’t put a whole lot of time into the campaign yet, but the multiplayer is the best in franchise since Halo: Reach which is the highwater mark for the game series. The maps and gameplay just seem to make for better matches and not as many complaints during matches as some of the earlier volumes. The only reason I picked up a copy of Fallout 4 initially was because my wife is a huge fan of the series. But admittedly I really enjoyed it. Though I did feel that the story was a little weak towards the end of the game, but as usual the real fun ius in wondering the open world of the game. The gameplay is on point like all of the Bethesda games but unlike most of the games that came before I haven’t had any of the problems with glitches that Bethesda is known for having for the first year. The card game created by the founder of the Oatmeal, Exploding Kittens is easy to learn and fun to play. It can be played with only two people but the more you have the more fun the game gets. It plays a lot like a much more adult Old Maid. I wish games lasted a little longer sometimes but that just means you can get more games in on a game night. I didn’t read a whole lot of books that were actually released in 2015, but I did catch up on some great books from the past. So I am going to just highlight the books that I have read this year that stood out to me. This was a great book. 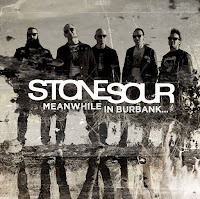 Corey Taylor lets out a lot of internal frustrations about many aspects of humanity that aggravate him. Each chapter focus’ on a different subject from modern day music and celebrities, to the way that being in an airport brings out the worst in people. But what makes this really great to me is that as Taylor rants about humanity he also shines the light on himself and the points that he is guilty of lacking common sense. 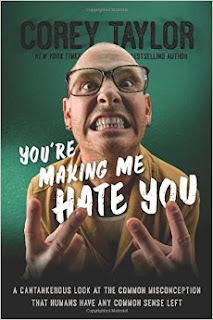 If you don’t mind reading a series of freeform rants that are vulgar at times this is a fun book that does make some great points. The book that has spawned two movies. 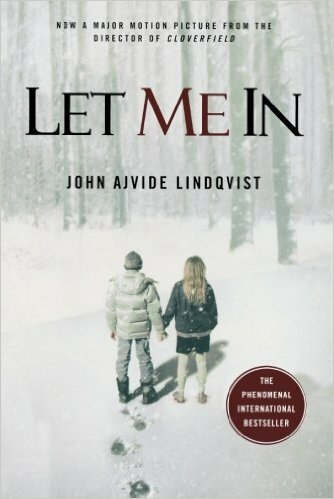 One in it’s native country of Sweden called “Let The Right One In” and one in america that shares the books name. The story of a young boy who is constantly bullied at school and neglected by divorced parents at home, who meets a young girl who moves into his apartment building with her father and they become fast friends. Even if she does tell him repeatedly that they can’t be friends. The more time the two spend together the more the boy realizes there is something not normal about the girl. She isn’t normal though, she is a vampire and the man that she lives with is not her father. It is a beautiful story of coming of age and young love in the middle of a tense thriller. I have been hearing for years now how great this book is. And admittedly I haven’t had a great track record with truly loving books when I keep hearing nothing but how amazing it is. But in this case I was pleasantly surprised that what I had heard was right. Gaiman weaves a spectacular tale of an ex-con named Shadow who is thrust into the middle of a never ending battle of gods new and old. 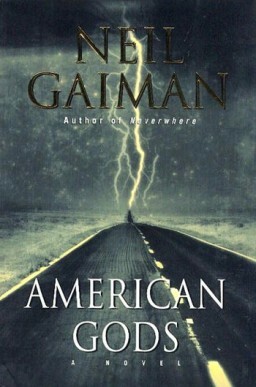 And as the title indicates the new gods are the gods of America. And it is scary how accurate Gaiman is on what kind of gods would rise and be worshipped and even be sacrificed to by the American People. Of course as usual not everything is what it appears. One of only a few books that I read this year that came out in 2015, Welcome To Grizzlydale is a fun young adult book with a similar feel to Goonies and Monster Squad. It is the story of Eric Del Bosque, a 11 year old who moves to a new town where there are stories of a monster that lives in the barn on an abandoned lot next to his house. But sometimes ghost stories have a basis in reality as Eric and his new friend Heather suspect to be true. What is happening to all of the local pets that are suddenly disappearing? What is the truth of the legend of Hairy Baby? And what are the Tyrs that are threatening to destroy our reality? This was a good year for music to me. There were new albums from many of my favorite artists as well as the return of a band that I thought was never going to make new music again. 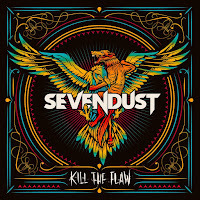 The eleventh studio album by Sevendust, Kill The Flaw is a strong addition to their discography. 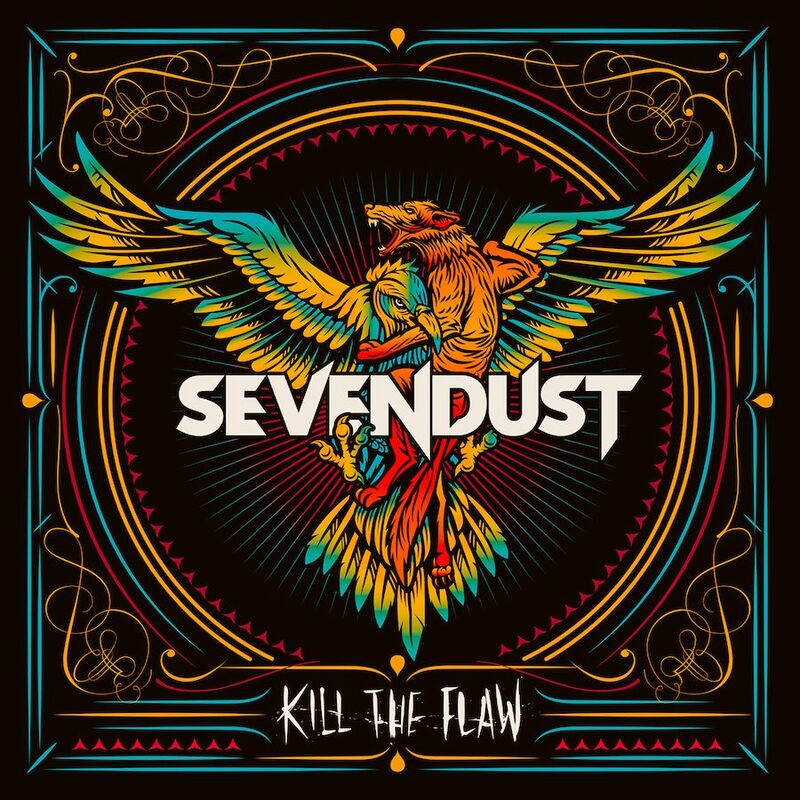 I have been a fan of Sevendust since their second album “Home”. So even though I was slow to grab some of their albums after they were released I do own every one. While Kill The Flaw isn’t the beat of their large body of work it is still better than most of the music being released by the newer artists in the rock landscape. 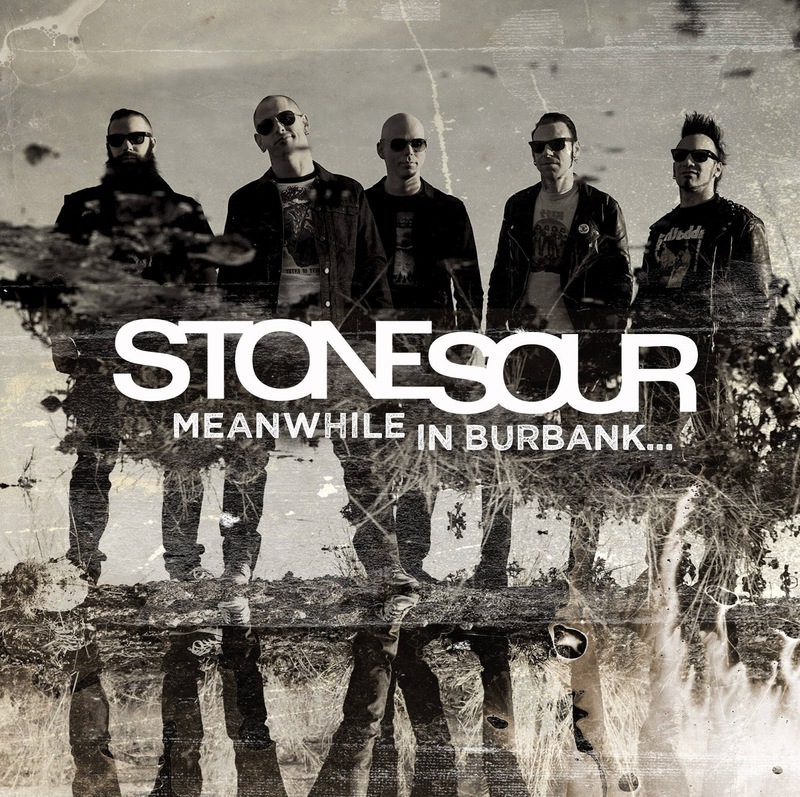 I put these two five song EP’s together because while they aren’t the same album they are the first two installments in a three EP set that Stone Sour is releasing. Each EP features five cover songs for bands that inspired the band Stone Sour. 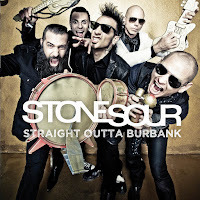 While a lot of people have looked down on bands releasing cover albums I am a big fan of them. It allows the fans of the band to discover the bands that made them want to be a band themselves. 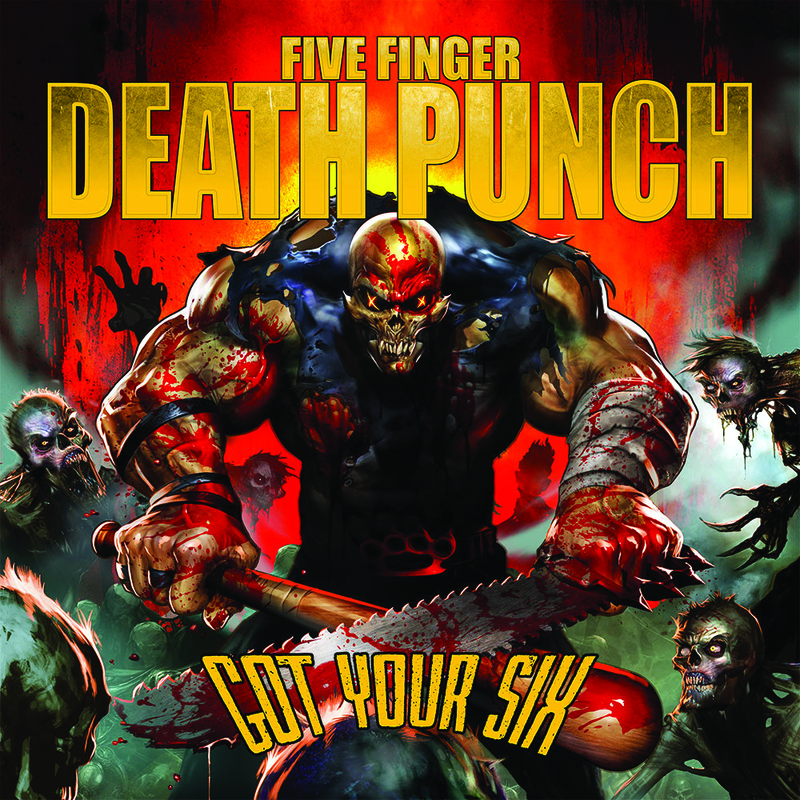 this is the sixth album that Five Finger Death Punch has released and it fits right in with the rest of their studio albums. The five piece Las Vegas band brings their driving beats and mix of harmonic and growling lyrics out with some strong messages. 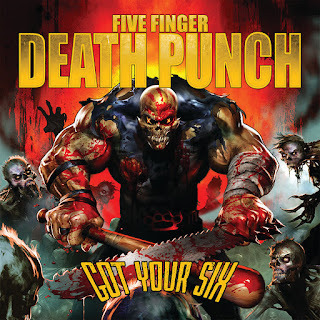 Any fan of 5FDP should grab this one and they won’t be disappointed. 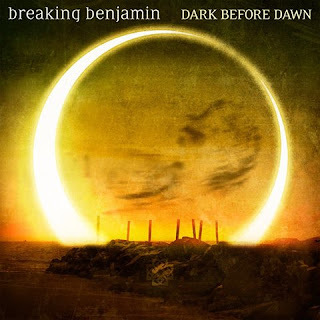 After six years of hiatus Breaking Benjamin finally came back this year with their fifth album. The band went their separate ways in 2010 after their label used songs that were “borrowed” from the laptop of the band and put onto a greatest hits album without their permission. Thankfully after some time away most of the band came back and recorded Dark Before Dawn. It is a strong album and a constant in my playlist. 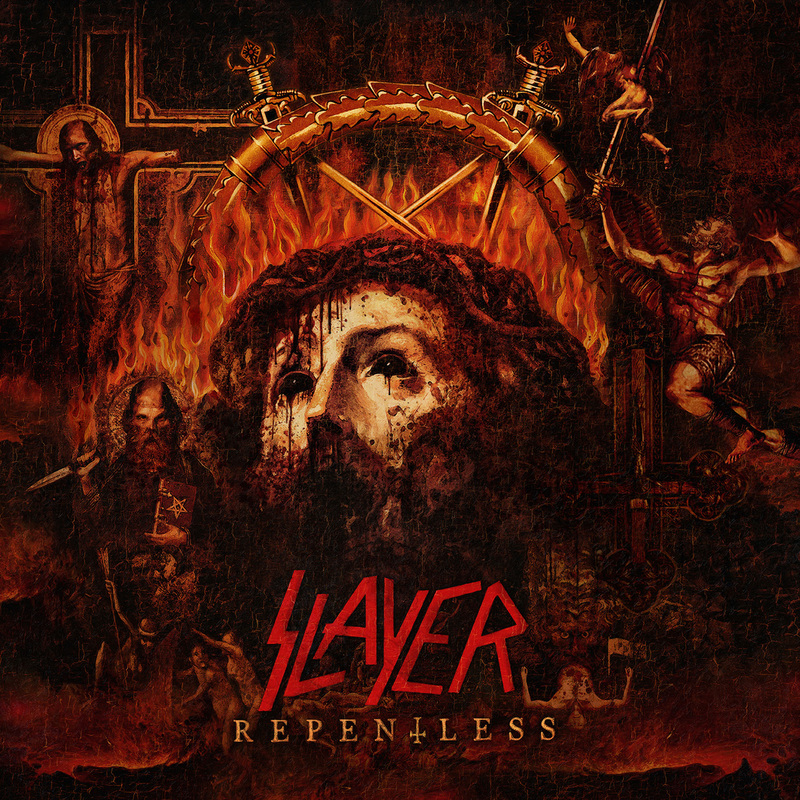 The first album that the trash-metal gods recorded without founding guitarist Jeff Hanneman, Repentless still has the in your face metal riffs that the band is known for. But there is a sadness within the album as well. You can feel the loss of their brother-in-arms in every song, even though you can tell that they are moving forward because it is what Hanneman would want. Demesne if the third installment in the Star Pilot saga. While I don’t feel that it is the strongest entry in the series, that honor goes to Star Pilot’s Revenge, it is still a very strong album. 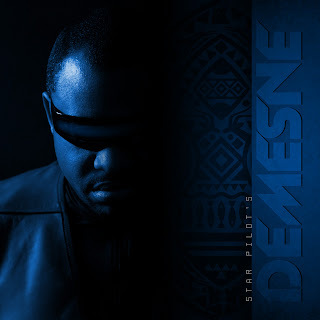 The portland based rapper creates a deep universe of smuggling and space battles. For fans of sci-fi and smooth rhymes will love all of King’s albums. I didn’t watch a whole lot of television this year, I don’t have cable after all. So I was left with watching the shows I can through Netflix. As little as I got around to watching I did watch some good shows. This was a surprise hit for me. I started watching it one night when I didn’t have anything else to watch but was quickly taken with the quirky nature of this horror/comedy/mystery. It follows a brilliant surgeon named Olivia “Liv” Moore who gets attacked at a party that she didn’t even want to go to and when she wakes up she is in a body bag. 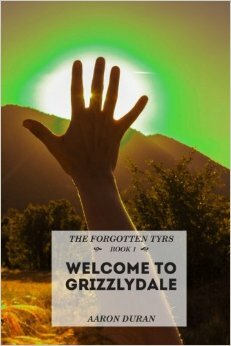 Liv finds herself craving human brains and going through massive changes. So she gets a job in the city morgue to get easy access to brains for her to eat. With her bosses help Liv then begins to use the unique power of getting memories from the brains she eats to help the Seattle police solve murders. The second of the Netflix shows for Marvel, Jessica Jones follows a private eye with super powers as she goes about her self destructive life in New York. Jessica is just fine drinking away what little money she earns from her cases until she gets proof that the man that ruined her life has re-emerged and is stalking her. What follows is a twisted game of cat and mouse between Jessica and the sinister man with the ability to make you do whatever he tells you by the name of Killgrave. The fourth season of Longmire was released by Netflix after it was cancelled by A&E. Longmire follows a Wyoming sheriff of the same name as he keeps the peace in his town and the neighboring indian reservation. When they ask for his help. But along the way he is also trying to solve the murder of his wife years ago. Walt Longmire is joined by his daughter Cady, deputies Vic, Ferg, and Branch, as well as his closest friend Henry Standing Bear throughout the series and all of them are well developed characters who bring something to the table. This is a newer podcast with only 24 episodes so far, but every episode has been really good. The host, Aaron Mahnke, covers the truth behind many of the biggest folk lores throughout history. From Vampires to the legend of Springheel Jack, Mahnke does the research to find where these lores started and theorizes on how the stories spun into what they have become. Each episode is only 20 minutes and he only does an episode every other week so it is a quick listen. This is a pop culture podcast with four hosts who have an amazing chemistry. You can tell almost immediately that the two main hosts Stephen and Matthew have a lot of history together and it makes for a really fun dynamic between them. But then you add in Rodrigo who has a very different perspective than the rest and the latest addition to the podcast Ashley brings the view of a younger female fan. They cover pop culture news, comic reviews and even read and discuss famous comic runs every now and then. This podcast has been running for over 650 episodes so there is a lot of back matter to go through for anyone looking for a podcast that will provide many hours subject matter to go through. This podcast is just what it sounds like. A podcast where Jason Inman and Ashley Victoria Robinson choose a single character or topic in pop culture and give the history of that character from who created them to all of the various incarnations and continuities. They also do special shows every now and then where they compile lists of their perfect Avengers team or best/worst of the year. If you don’t mind a podcast where the hosts will occasionally go into song or impersonations this is a really fun show. The podcast that explores the bottom of the barrel of cinema. The four hosts have lots of fun watching bad movies and discussing the finer points from classic tropes the movies use to highlighting some of the better/worst dialogue that is delivered by the actors of the films. If you like to watch movies and don’t mind watching and hearing about movies good and bad this is one of the most fun podcasts there is. And every now and then they will do a commentary for a movie or television episode for a special edition podcast. Singer, actor, and wrestler Chris Jericho hosts a talk show where he sits down for a hour long conversation with other former and current wrestlers along with musicians, actors, and occasionally directors. Jericho has a great ability to lead an interview that keeps it loose and fun, allowing the conversation to move through topics organically. There were a lot of good movies that I saw this year so this was the hardest category for me to thin down. But I will do my best. I also will not be explaining too much about the movies because I am sure most of these will be fairly recognizable. This one made for the pure fun it was to watch. The story wasn’t bad either but the non stop adrenaline rush that was Fury Road just stuck with me. I was hesitant going into this one because of how bad this franchise was hurt by Lucas in recent years. But the second the opening crawl started I was all in and geeking out. I had my issues with aspects of it, but I feel it is back on the right track after this movie. I didn’t feel this was a perfect movie but after watching it several times it definitely earned it’s place on my best of 2015. I was not impressed with the first of the Hunger Games movies, but as this series went on I liked the movies more and more. This earned a spot on this list because it just felt like a well put together ending to the story being told. Even if it was a little predictable. For fans of Quentin Tarantino it is an event when his next movie comes out. so to me this was one of the most anticipated movies of the year. It is a tense movie that is completely character driven movie that for the most part takes place in a one room cabin with eight people crammed into it and the viewer doesn’t know who is who they say they are and who is plotting against the others. And of course it wouldn’t be a Tarantino movie without a few shocking and uncomfortable moments. And if Walton Goggins doesn’t get recognition for his part in The Hateful Eight it will be a tragedy. That is my best of 2015 thanks for reading. let me know what you think in the comments section. And I look forward to seeing what 2016 brings. And as always thank you for helping make this fun for me over the last year.